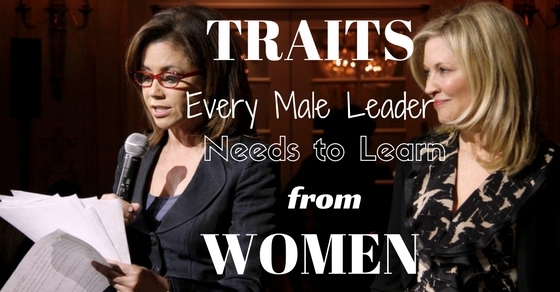 The corporate world has traditionally been dominated by men. However, over the last few decades, there has been increasing participation of women in the corporate world. There has been a gradual increase in the number of women in leadership roles, in Fortune 500 companies across the world. Just because men tend to dominate the top positions in the corporate world doesn’t necessarily mean that they have the necessary qualities required to lead employees. Community service does not necessarily mean doing something for the homeless or the disabled. This extends to the entire community of women which includes their friends and family. Women tend to acquire a sense of fulfillment by serving their community or doing something to improve the lives of people who are close to them. Men, on the other hand, acquire a sense of fulfillment on receiving awards or other types of recognition. They should also spend some time to help the people around them. The joy they get by the thought of their being a party to the well-being of the people around them is indescribable. Men often fail to control their emotions. Repairing a car may seem easy for men. But when they need to talk, most of them would fail to maintain their emotional stability. They might be physically stronger but women are emotionally more stable than men. This is because women do not shy away from expressing themselves when they need to. Men, on the other hand, tend to be more introvert by nature. They often have a tough time keeping a check on their emotions which has an adverse impact on their work. Working mothers who have a full-time career need to make a balance between their home and workplace. Maintaining such a balance is tough and occasionally causes them to put a stronger emphasis on one place as compared to the other. However, most of the time, women are successful in maintaining a balance between the professional and family life. Men, usually have a one track bent of mind. Recent studies have shown that women are more stressed in dealing with work-related problems. They are stressed to do business outside their daily schedule as compared to men. Though men are able to focus on their professional life, they often fail to provide the necessary time they should devote to their families. Therefore, it is essential for men to be aware of the fact that career and family life are of equal importance and a balance has to be maintained between both of them. They can learn to plan their schedule in the way their female co-workers do in order to make sure that they can provide some time to their families on a daily basis. All men are not inconsiderate. But caring and nurturing is something that women have always been good at as compared to men. They can take good care of everybody, be it at home or at workplace. Men on the other hand are regarded as insensitive to people around them though there are some men who are indeed caring. This notion needs to be changed. They should, therefore, learn from their female counterparts and show more consideration to people around them and their feelings. This will persuade their co-workers to cooperate with them. This is another area where women are far ahead of men. Though it may seem stereotypical, it is true. Women tend to be more patient as compared to men. They know how to deal with tough situations with a calm mind. Therefore, they can deal with an argument at home or crisis at the office in a much better way than men would do. Men on the other hand are not known to possess a high level of patience. They tend to lose their cool when someone disagrees with them and tend to turn more volatile. As per a study conducted by the Time Magazine, women have a higher ability to tolerate pain than men. This not only refers to a woman’s ability to tolerate physical pain but also mental and emotional ones. In today’s challenging work environment, one can face innumerable problems while creating a successful business. Therefore, men need to realize that having a high level of dedication along with mental and emotional toughness will help their business to succeed in the long run. Therefore, they need to learn to put up with pain. Recent studies which have been conducted have shown that women are more efficient in performing multiple tasks as compared to men. The studies have revealed that women can perform five tasks at a time and be one and a half times more productive as compared to men. Another study conducted in the UK revealed that women had a better ability to look through the whole picture of a specific task and deal with other tasks at the same time. In comparison, men are more efficient in dealing with a single task as compared to women. However, they find it tough to step back and look at it while maintaining a balance with other tasks. Therefore, men need to improve their ability to handle multiple tasks simultaneously to enhance their productivity at the workplace. Women are more sensitive by nature as compared to men. They tend to show more respect as compared to men. This helps them to get along with people who they have to work with at the office. Therefore, men need to be more respecting to others. This will help them to gain the goodwill and trust of their co-workers which is essential. Usually, women are better in networking as compared to men. Men, therefore, need to learn from their female colleagues on how to build good business contacts. There are numerous ways of networking which have come up these days. A number of them tend to be pretty complicated. Men can use LinkedIn so as to connect with old connections, be it friends, colleagues or classmates. The greater the number of connections that they have in the business world, the greater will be their chances of succeeding. So, men can learn to be more social from their female co-workers who are usually active on such networks. Women are often judged by their looks. Right from childhood, they are taught to look perfect when it comes to their weight, clothing or overall appearance. Men, on the other hand, are laxer. They are likely to roll out of the bed and wear anything which is closest to their hands. It is essential for them to realize that they need to be very conscious about what they wear to create a great impression no matter where they go. The way they look helps in creating a perception in the minds of others. Women tend to take right decisions in tough situations, which men can learn from them. They never allow anything to hang loose. Women assess the situation which the business may be facing and take into consideration the long-term implications of any decision that they take. Therefore, they never take decisions hastily. Men on the other hand, often take rash decisions which may have a negative impact on their company’s business. Therefore, they need to learn how to take good decisions from women. It will help them to grow professionally in the long run. There is an on-going joke that men are often less than willing to ask their female co-workers for their directions. This is related to their work and also to the general approach towards life. There is a need to arrive at a consensus in order to make sure that right decisions are taken regarding the business they are involved in. Therefore, when it comes to work men need to put their ego aside. There is no harm in asking others for help if there is a need to. In the corporate world, employees often have to work as a member of a team and come up with innovative ideas which can be implemented. Women tend to be better at teamwork as compared to men. Therefore, it is essential for men to be more cooperative since some of the most successful brands which have been launched in the market have done well due to the efforts of a team rather than an individual. Therefore, they need to learn to work as part of a team rather than trying to achieve personal milestones of their own. This will help them to evolve into better business leaders.